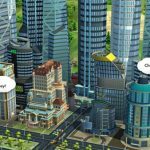 This next SimCity BuildIt strategy guide talks about manufacturing, and this is another important aspect of this popular city-building game for iOS and Android devices. 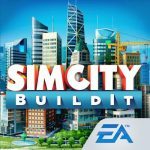 SimCity BuildIt, for those who have joined us, is a title from EA that works similar to those SimCity games for PC that you may or may not have played in the past. You grow your population, construct buildings, give the people what they want, and balance a myriad of things to ensure that your city isn’t just happy, but also prosperous. 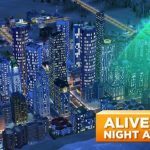 And speaking of running a prosperous city, this set of SimCity BuildIt tips and tricks will tell you more about having a sound strategy for manufacturing. Once you’ve unlocked a more advanced factory, you can go ahead and replace that old factory with a new one. After all, there’s no sense in keeping a factory around when it won’t be of much help to you anymore. With more basic materials stored and manufactured at your factory, you’ll get to upgrade buildings faster. In addition, you’ll get to a point where certain materials take much longer to build – this should give you even more initiative to upgrade your old factories. 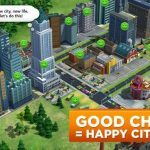 SimCity BuildIt has a social element, and one good way you can make use of this is to sell your basic factory materials to real-life gamers who are also playing the game. But as a bonus tip, don’t use the social element to buy materials from other players – it’s simply going to be more cost-effective if you refrain from doing this and save your money instead. This rule doesn’t always apply, but it’s basic rule you can follow most of the time – since there’s no way you can play the game all day, it’s smart to make lower waiting time materials before those with a longer waiting time. Want something you can reliably spend your money on? Try investing your money to expand store queues. Simply spend your SimCash on the queues of your oldest stores, e.g. your Building Supply and hardware stores; since you’ll be using materials created in those places for a good long while in the game, an expanded queue can do you a world of good. The best time in which you should upgrade your storage is when you’ve got only one to two items remaining before completion. Leveling up will find you frequently running out of storage, so it is very important to make sure your storage facility is upgraded over time. And if you’ve got a large storage facility, that will also simplify the manufacturing process. Lastly, you should prioritize building a Cargo Ship Dock as soon as possible. This building generates golden keys, which you’ll then use to build special structures, while earning some money for you in the process. Take note, however, that the Cargo Ship Dock has a timer to go with the items you have to be ready with.